The Institute of Asset Management Diploma is the leading international qualification for people who have chosen asset management as their career path. It is tailor-made for experienced asset management practitioners seeking to consolidate their knowledge and credentials, or secure higher level responsibilities. The IAM Certificate (IAM Principles of Asset Management exam) is a pre-requisite of the IAM Diploma qualification. An ‘Advanced Asset Management Exam’ is held following the course. 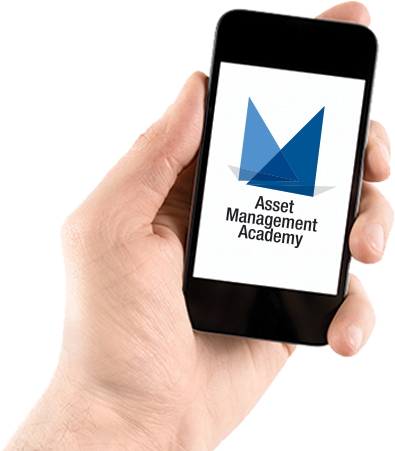 Our unique Asset Management Diploma course doesn’t just prepare you to pass the Diploma exam; it combines action learning, group work and supported research to provide an intellectual challenge, an engrossing learning experience and an expanded professional network. It is designed to develop and stretch your ability in all the main components of an Asset Management System. By the end of it, you will be confident in your knowledge of AM processes and ready to take on additional responsibilities in AM strategy, planning, risk, information and business process improvements. The modules are delivered face-to-face in small classes of 8 to 12 people, in two blocks of three and four days each. Training is based around individual and small group projects, from developing an AM Policy through planning for ISO 55000 certification, to modelling demand and running a contingency planning exercise. Our classes provide a wonderful opportunity to share experiences with your peers from other organisations, sectors and backgrounds, and develop your personal skills and professional network. They are taught by expert practitioners who have applied strategic Asset Management thinking and practices in real business situations. There is pre-reading before attending the course, on-line research and preparation required between the two three day blocks, and small group projects to complete afterwards, with tutor support and feedback. Developing and using an Asset Management Policy, strategic requirements and the development of a top level Asset Management Strategy (or Strategic Asset Management Plan), as well as starting to develop plans for asset management capability improvement. The critical role of asset data, information and asset knowledge in enabling good strategic asset management and operational activities. It looks at the definition of asset information requirements and appropriate asset management information and knowledge systems. The Asset Management Plan and capital planning, from analysing requirements to the handover of new assets. It includes consideration of current and future requirements through demand forecasting, and investment decision techniques. It covers the development of capital programmes for asset renewal as constructing and installing new ones. People issues in asset management, including managing the development of an appropriate culture and organisational design for good asset management. The selection, use and management of external service contractors and suppliers. This includes ensuring that terms and conditions for the supply of goods and services are satisfactory and meet the strategic asset management objectives of the organisation. The application of whole life costing principles in depth, including building whole life cost models and templates, and the use of deterioration models. The maintenance, refurbishment and repair of assets throughout the operational life-cycle. The causes of failures or incidents must be investigated and necessary adjustments made to assets, systems and procedures.